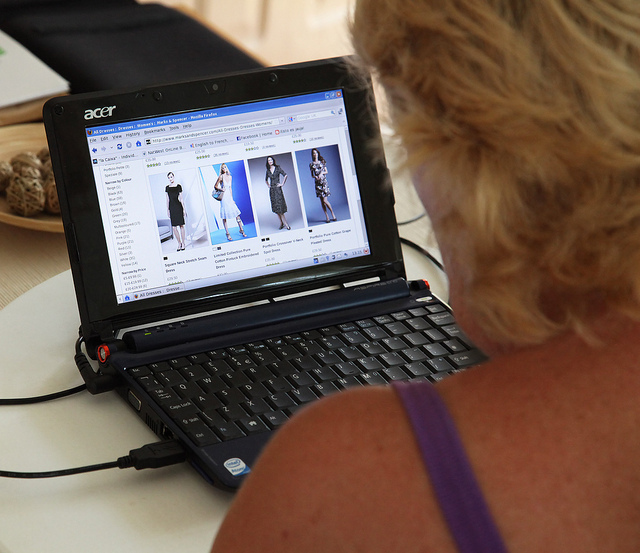 Since June 2014, the EU has increased the level of consumer protection for online shoppers. The new rules include: a 14-day “cooling-off” period to return items; enhanced rights to a refund; a ban on unjustified additional charges for payment by credit cards (or other means); and a ban on pre-ticked boxes so you don’t unintentionally buy unwanted add-ons. This guide gives an overview of your rights related to products and services purchased online, and in particular how to return unwanted goods. Online traders must provide you with clear, correct and understandable key information about the product or service before you make a purchase. Make sure all the trader’s contact information, including an e-mail and/or telephone number is listed. You should also be given the total price, including any additional costs – and if not at least information on how this will be calculated. As part of the sales contract, the trader should provide comprehensive information on payment, delivery, the right of withdrawal, after-sales services, contract duration, dispute resolution mechanisms and a trade register. This information should be included in the contract unless you and the trader jointly agree to changes to the terms given, on the trader’s website for example. When you buy online you must receive confirmation of your purchase without delay, either by e-mail or a message to your personal account on the trader’s website. It should be something you can store and which the trader cannot alter without your say-so. Additional costs, for using a credit card for example, are allowed. However, the fee cannot be higher than what it costs the trader to process your payment. You must always be given the opportunity to explicitly agree to any additional “hidden” fees, such as travel insurance when booking a flight. It is illegal for traders to infer agreement by using “pre-ticked” boxes during the purchasing process. In the EU, for contracts concluded after 13 June 2014, you have the right to withdraw from your online purchase within 14 days. The “cooling off” period expires 14 days after the day you received your goods. If this period expires on a non-working day, the deadline is extended until the next working day. You can withdraw from a purchase for any reason within this timeframe. To withdraw from a purchase you must either provide a written statement with the goods you are returning by post, or send a fax or e-mail to inform the trader of your decision. The trader must provide you with a model withdrawal form which you can use for this purpose, although its use is not obligatory. You should be aware that if you are purchasing goods from a private individual rather than a company, the transaction is not covered by the same consumer legislation and the 14-day withdrawal period does not apply. Refunds must be given within 14 days from receipt of your withdrawal notification. A trader can delay refunding you if they have not received either the returned goods, or evidence that they have been sent. Refunds must include any shipping charges you paid at the time of purchase. Additional costs may apply if you specifically requested non-standard (express) delivery. Usually you will have to cover the costs of returning the goods to the trader. If at the time of purchase you were not informed you would need to pay to return goods during the cooling off period, then the trader must also bear that cost. You may not use the goods before deciding to withdraw from the purchase. The right to withdraw only allows you to examine the product as you would in a shop. The 14-day cooling off period also covers service contracts, for example an internet subscription concluded online or with a salesman. If however you want a trader to start providing a service without waiting for the 14-day period to lapse, you must expressly request this. If you then wish to withdraw from the contract you must pay for the time you used the service. Specific rules apply to small businesses and craftsmen. For urgent repairs, e.g. a plumber fixing a water leak, you can’t cancel the work once you have agreed on the price of the service. If you download or stream content specific rules apply. Before making a purchase you must be informed how the content works with relevant hardware/software (interoperability) and about its functionality, including whether any geographic restrictions apply and if private copies are allowed. The right of withdrawal applies, but once you begin downloading or streaming you may no longer withdraw from the purchase, provided the trader has complied with their obligations.